You could hit some chains in the Loop and pay $2.99 for a basic dog—or you could visit Bangers & Lace, where that dough gets you a link of Vienna beef battered-to-order in buttery brioche ($3). 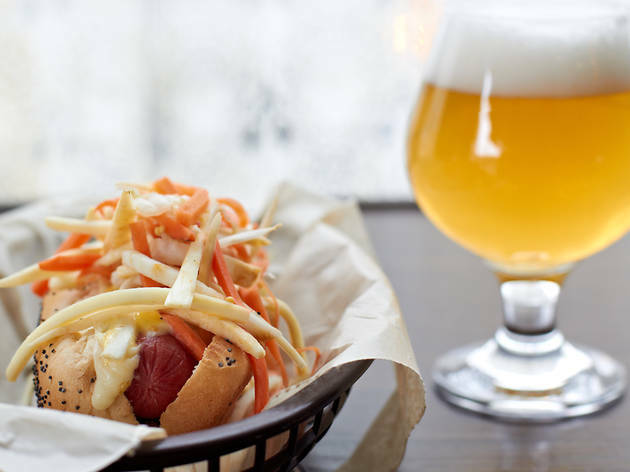 The corn dog’s not the only cost-effective comestible at this busy hipster hangout; for $5, a Vienna dog with bold pepper jack, creamy garlic aioli and a crisp winter slaw ➊ is as satisfying as most of the specialty sausages, which cost nearly double that. Just make sure to do the same swap with beer, skipping the $35 micro-microbrew (yes, B&L has a few) in favor of a $7 or $8 Belgian. 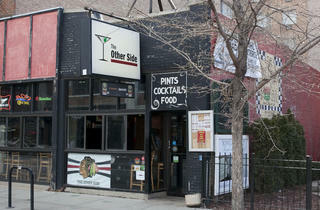 What’s that, you don’t want to pony up for any of B&L’s suds? 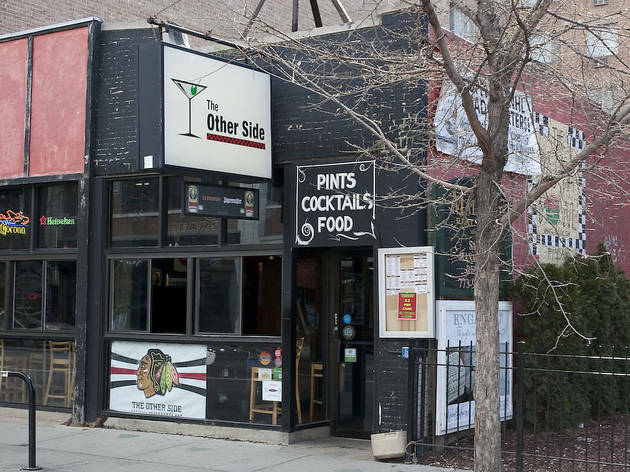 Head to the Other Side, where the beer list doesn’t extend far beyond the frat-boy imagination, but is cheap and perfectly suitable against iconic bar food like chicken wings ($5 for ten) ➋. Can we talk about these wings? They solve the eternal dilemma of buffalo versus barbecue by marrying the two marinades in what the bar calls “buffaque,” which cuts the heat with a pleasant sweetness. 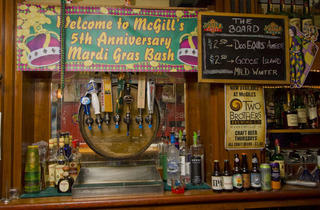 Try them with a round of Jenga—the bar has several sets, complete with dares scribbled on the blocks. 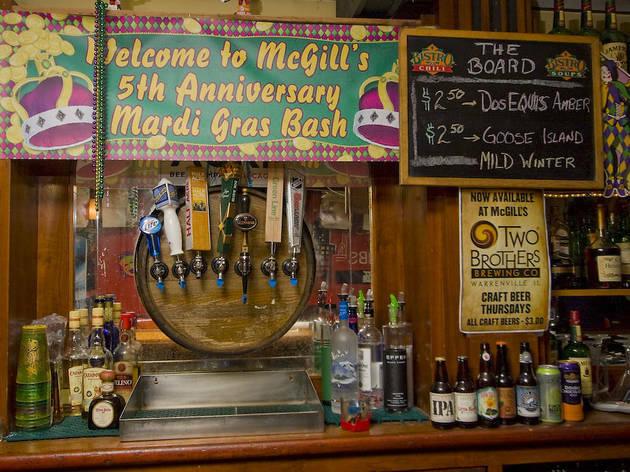 And the night before rent’s due, here’s what you do: Grab a stool at McGill’s Bar & Grill. When an order that could have served four people comes to $24 (including a Jameson neat and a couple of beers, and that’s not even on craft-beer Thursday, when brews like Half Acre are $3), you’ve found a winner. When the food is actually good—gooey cubes of cheese fried in front of you, served piping hot ($4); an Italian beef soaking through its bun ($5, with ample fries) ➌—and the smiley manager, Fernando, makes you feel as welcome as the regulars, you’ve found a champion. 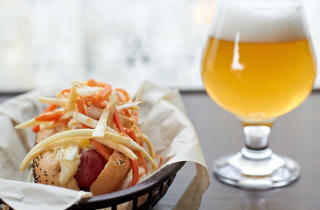 What to drink with your pub grub.